For better or worse I have been identified by the British establishment as the person who can be relied upon to defend the indefensible, and who might be allowed to defend the indefensible even on state television (that is, the BBC) provided the defense is sufficiently diluted by others defending the obvious. In official code, "indefensible" means "conservative," while "obvious" means "left-liberal." Hence when the BBC asked me to contribute to a television series on beauty it was expected that I would argue that there really is such a thing, that it is not just a matter of taste, that it is connected with the noble, the aspirational, and the holy in our feelings, and that the postmodern culture, which emphasizes ugliness, despondency, and desecration, is a betrayal of a sacred calling. So that is what I said, since after all they were paying me. To achieve the balance that the BBC is required by its constitution to deliver, two other programs were commissioned, reaffirming the orthodoxies. They argued that art is not about beauty but about originality, and originality means putting yourself on display, with the tongue, or some other suitable organ, sticking out. In Why Beauty Matters I talked a bit about art, but I was more concerned to draw attention to the place of beauty in everyday life — in manners, clothes, interior decoration, and ordinary vernacular buildings. I criticized both the functional concrete and glass architecture that has destroyed cities all over the world and the self-centered manners that have done the same to domestic life. I tried to explain why the philosophers of the Enlightenment followed Shaftesbury in placing beauty at the center of the new code of secular values. For Shaftesbury, Burke, Kant, Schiller, and their followers, I suggested, beauty was the path back to the world that they were losing in losing the Christian God — the world of meaning, order, and transcendence, which we must be constantly emulating in this world if our lives are to be truly human and truly meaningful. And I went on to argue that, since the puerile jokes of Marcel Duchamp, repeated again and again in every art-school graduate exhibition in Britain, a habit of sarcasm and desecration had overcome the practice of visual art. Hence British artists today — at least those recognized by the official culture — have nothing much to show us except how repulsive they are. 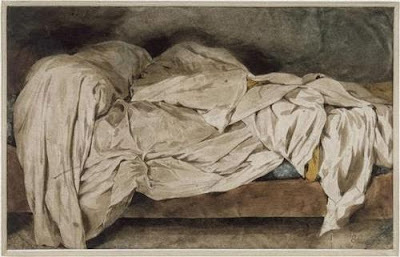 It seemed to me obvious that Delacroix's painting of his unmade bed (in the Maison Delacroix in Paris) is a true work of art, which shows something about mankind's spiritual condition, while Tracey Emin's famous bed (in the Tate Modern gallery in London) is just an unmade bed. We can deduce from the sight of this bed quite a lot about the person who unmade it, but that does not distinguish it from any other piece of debris left in the wake of a human life. The higher meaning that is the aim of art — the meaning that shows why life matters — is something that this bed neither achieves nor aims for. I received more than 500 e-mails from viewers, all but one saying, "Thank Heavens someone is saying what needs to be said," half of them adding, "but how did you get away with it on the BBC?" Meanwhile the reviewers ganged up to lament the sad, anomalous, and reactionary character of poor Scruton, and to thank the BBC for showing the absurdity and outdatedness of the aged professor's views. Waldemar Januszczak, who made another of the films in the series on beauty, mounted a libelous character assassination in the Sunday Times in order to advise his readers, in advance of the showing of my film, to dismiss me and whatever I might try to say to them. 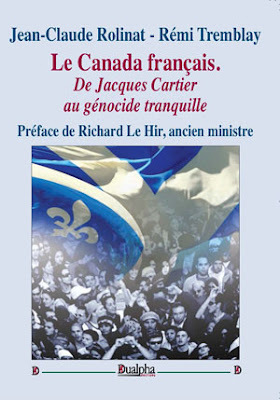 The episode was, for me, an instructive glimpse into my country and its culture. I don't say that my film had any merit beyond its honesty. But it produced overwhelming proof that its vision of art and the aesthetic is shared by many ordinary British viewers, and that the official culture is not just detached from such people but profoundly hostile to what they believe, what they feel, and what they hope for. The nihilistic art of our time is delivered to the British people as a rebuke, which they are to accept in all humility, and in a spirit of apology for having wanted something "higher." 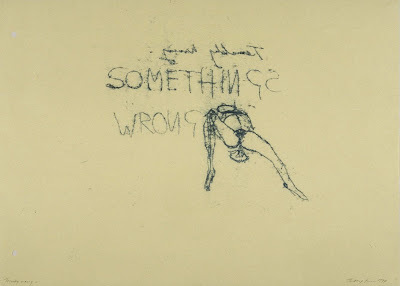 There is nothing higher — that is the lesson to be gleaned from Young British Art, and from the heaps of nonsensical garbage that it has delivered to our museums and galleries. We can understand the human condition, it tells us, only if we adopt a posture of rudeness and confrontation, and if we let those tongues stick out. THIS IS JUST ONE ASPECT of something that American visitors to Britain increasingly remark upon. In the '50s and '60s, when my generation was growing up, British people were actively recruited by the educational system and the worlds of art and religion to an aspirational culture. Those were the days of Henry Moore and Benjamin Britten, of Graham Sutherland and Michael Tippett. W. H. Auden was an important voice, as was the ex-American T. S. Eliot. Britain was a place of deep historical and religious significance. You were privileged to belong on its soil, and all around you the national history had left the signs and portents of a higher way of life. At the risk of exaggeration, it could be said that my country, in those years when the baby boom generation was advancing toward its lifelong immaturity, was an experiment in redemption. Its art, culture, and religion were devoted to the ideal of a community in which decency, puzzlement, and self-denial held sway. And there remained, as a kind of leftover from wartime propaganda, the belief in the gentleman, who faces life in a posture of self-sacrificing devotion to nonsensical ideals — nonsensical, that is, from the point of view of the cynical observer, but not nonsensical at all, given the spirit in which they were accepted. The American visitor to Britain today, and especially the visitor who retains a memory of that extraordinary world in which decency, self-deprecation, and the stiff upper lip were the ruling principles, often recoils in shock at what he finds. The public culture is one of appetite and satire, and the whole country seems to be "in your face," as though sticking out a collective tongue. Many American friends tell me this, and speak sorrowfully of the change from the Britain that they used to visit with a sense of coming home, to the Britain that they visit today, which is a land of strangers. The interesting thing, however, and the response to my film seems to confirm this, is that many of the British people agree with them. The British people too are in a land of strangers, and the culture that rules over them is one to which many of my countrymen cannot in their hearts belong. The official ethos, which prevails in schools and universities, and also in the Labour Party, is one of scorn and repudiation toward the old ideals. 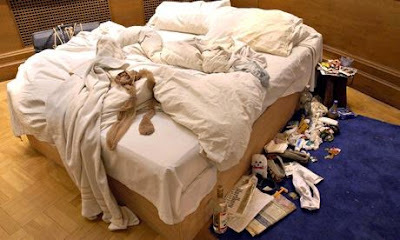 Official British culture is accurately portrayed by Tracey Emin's bed. It is a culture of emotional chaos and random affections, in which traditional loyalties play no part. 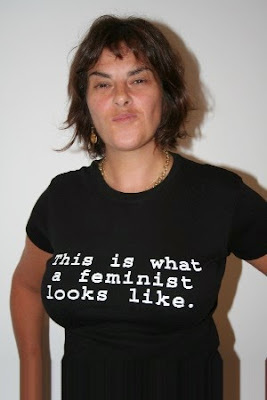 Emin herself is the illegitimate daughter of a Turkish Cypriot, and her situation is typical of her generation. Unable to identify with a country or a way of life, educated by a curriculum of multicultural fairy tales, and learning in art school that you find your place in the world through transgression, and through putting the self on display, she has had the good sense to be a publicly visible and authentic mess. Her works may not be works of art, in the sense that my generation was brought up to understand this honorific label, but they show a world that the official culture of Britain has chosen to endorse. The circumstantial evidence of the response to my film proves nothing. All I know is that a lot of people out there feel as I do. They agree with me that beauty matters, that desecration and nihilism are crimes, and that we should find the way to exalt our world and to endow it with a more than worldly significance. But perhaps just as many or more believe the official "multicultural" story, which tells us that there is nothing special about Britain, that the old ideals and dignities are mere illusions, and that the purpose of art is to pour scorn on the values of antiquated people. And if the impression of American visitors is right, it is not the official culture only, but also the rising generation of New Brits, which has settled for facetiousness against dignity and transgression against the norms of social life. If this is so, then at least one part of the message of my film has been vindicated: namely that beauty matters, and that you cannot pour scorn on beauty without losing sight of the meaning of life. Great article. Really high respect for Roger Scruton. A great author. Thanks. I believe that the core of liberalism and equality today is ENVY, and therefore the denial of anything superior. Beauty challenges that, and hence to desecrate and destroy it because it limits you. This is literally the devils work. And its rampant in leftist thinking. IT needs to be challenged and morally condemned. LMFAO, what a waste of effort. The article should have named the jew in the first place. Cowards! Nobody has ever raised the Jewish involvment in this disguting asault on European art. "No group on earth is probably LESS qualified to get involved with art than the jews. But they take it over because they're good a taking things over and then they redefine it as to what THEY can do or what they like. Well what do they like? Well, let's look at what they promote. What do they promote? 'piss Christ' was a jewish creation. Because when you get to 'concept' art the artifact has no meaning; it's who promotes, sells and makrkets it." Got a pair, though, hasn't she?